If you won the lottery and chose to receive annuities you eradicated the risk of excessive spending but may have limited your options today. You have options to access your funds now in a few simple steps. Limited cash inflow may restrict you from reaching your goals and capitalizing on opportunities but you can fix that problem with ease. Read more to learn how. One option to get your money now is selling lottery winnings. After following a five step process will receive cash immediately if you have the right buyer. The right buyer will give you full access to the process and provide clear information to help you make a decision. Choosing a reliable buyer such as DRB Capital to cash out lottery annuity payments will give you access to immediate cash to cover an emergency need or make an investment and with their excellent customer service team you will be supported throughout the process. DRB Capital is a reliable company for lottery winners to sell their payments. Get an easy, fair, and fast offer for selling your lottery winnings today. Winning the lottery is a once in a lifetime opportunity which comes only to a lucky few. The significant amount of money can provide financial support for life. 1. Lump sum payment: Receive complete lottery winnings at one time. 2. Annuity: Break the winnings into installments, known as annuity payments. These annuities can last for as long as 29 years, breaking your payout into 30 annual installments. Receiving a lump sum amount for your winnings means an almost immediate supply of a staggering amount of money. In contrast, receiving annuities ensures a consistent income for three decades. You will typically have approximately 60 days to make a decision between these options. Both options have advantages and disadvantages. Lump Sum or Annuity – What’s the Difference? While a lump sum payment could lead to access to a significant amount of money, there are disadvantages. One of them is that it could lead you to a few months of spending without control, which eliminates the chance to live the rest of your life comfortably. When all of your cash gets spent on luxury purchases or wild vacations, there are fewer investments than expenditures and opportunities will be missed. The tax implications of being the recipient of such a large amount of cash should also be considered. As of 2018, in addition to a payment of more than $150,000, you may be required to pay a 37 percent tax on the amount above $500,000. That’s almost four dollars out of every ten which will go to the government. If your lottery winnings were in the tens of millions, you are losing millions to the tax authorities! Those who choose a lump sum amount often fail to plan adequately and end up living in luxury for a brief time before finding themselves in the same financial situation as before their winnings. On the other hand, choosing an annuity not only lowers the tax rate, but when you receive a controlled amount on an annual basis most winners are able to keep their expenses in check as well. While it keeps them from receiving their lottery winnings all at once, but it also ensures steady income for possibly the rest of their life. What if the annuity is not enough? Is there an option to change? If you choose the annuity, when you need immediate access to the money you have in your lottery winnings, you will not be able to access it. You simply cannot change the terms of your agreement and your next payment will only come according to the schedule you have set. There are other options. A leading way to get more cash now is to selling annuity payments. If you find the right buyer, you will be able to access your funds now. One such buyer is DRB Capital. If you are considering selling lottery payments, here are a few points to keep in mind. The amount you receive for your annuity will be less than the annuity value itself. Selling all of your lottery payments is not the only option. You can sell part of the annuity if that will be sufficient to cover needs. No need to sell all future payments at the same time. Once you locate a buyer and determine to proceed with selling, you will need to attend a basic court proceeding during which the judge will review the transaction to ensure that it is in compliance with relevant laws. This is the process – it’s simple! Make sure that the company is tenured. A reliable company will have years of operation behind it to back up their claims. Confirm that the process is in compliance with local and federal laws. A good buyer will be able to explain the relevant rules and regulations and show a clear knowledge of their field of work. DRB Capital meets all of these requirements and supports their customer throughout the process. 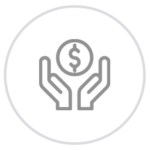 From the moment you contact their team to when you receive your payout, DRB Capital will be there to help every step of the way. If you are looking for a reliable buyer to cash out lottery winnings, call DRB Capital today for a free quote.